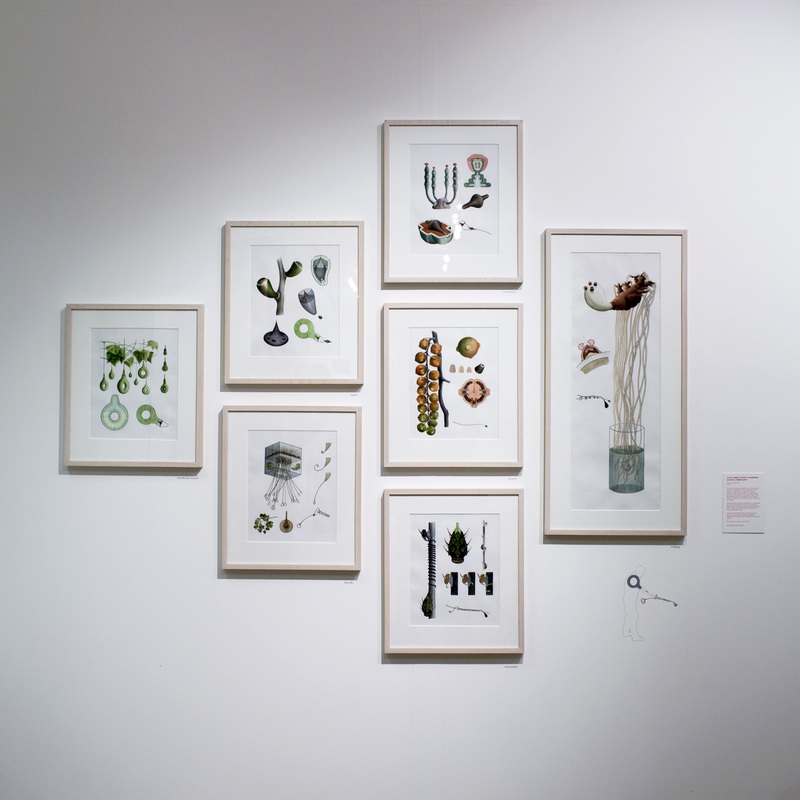 The Growth Assembly is a collection of seven natural history illustrations from an imaginary future where plants are genetically engineered to grow products. The illustrations draw on the tradition of botanical drawings by artists and naturalists like Ernst Haeckel, who, against a backdrop of nineteenth century industrialisation and Darwin’s emerging ideas on natural selection, were cataloging the organisms of the natural world as if they were intricate living machines. The future use of biology for production could fundamentally alter our ideas of heavy manufacturing, introducing diversity and softness into a realm now dominated by industrial standardisation. Once assembled, the parts from the seven plants form a herbicide sprayer. In this future, the sprayer is an essential commodity, used to protect these delicate, engineered horticultural machines from the older, established nature. Sascha Pohflepp (DE) is an artist and researcher whose work is known to probe the role of technology in our efforts to understand and influence our environment. Alexandra Daisy Ginsberg (UK) is a designer, artist and writer, developing experimental approaches to imagine new roles and ideals for design.